Amazingly enough, I am a Star Trek fan (hard to believe, I know). When I was little, I would watch the original movies and cartoon series (I don’t think the original series was really airing anywhere where I was), and then once Star Trek: The Next Generation came out, I was completely hooked. TNG was the pinnacle for me – I watched DS9 and Voyager as well, but not to the religious degree that I followed the adventures of NCC-1701-D. As each series was canceled, I’d watch the movies when they came out (the new reboot was fantastic) – but there is definitely a piece of me that missed not having Star Trek regularly in my life. That is why I was so excited for the prospect of Trek’s newest game, Star Trek Online. There have been numerous games to use the Star Trek IP in the past. 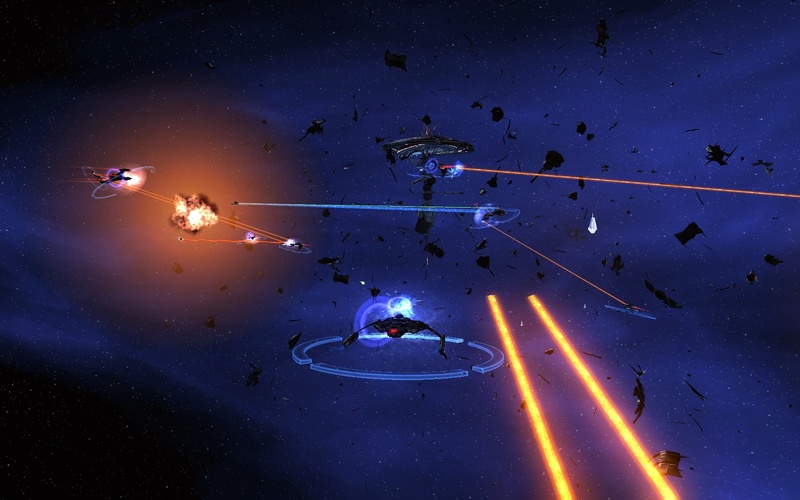 What makes Star Trek Online different is its venture into the massively multiplayer world. 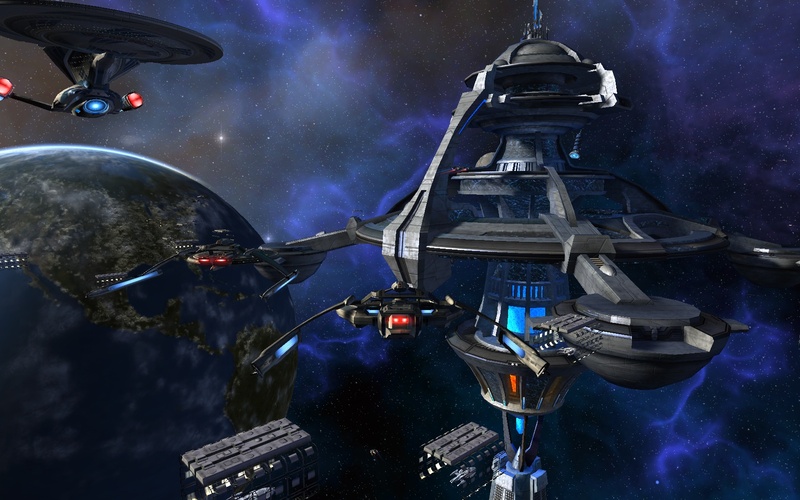 Developed by Cryptic Studios (Champions Online), STO allows each player to captain their own starship in the Star Trek universe. This also includes getting to role play as one of the many races in Trek, such as Andorians, Trill, Vulcans, Klingons, etc (the list goes on quite a bit). From fast-paced space battles to a slew of away team missions, Cryptic has attempted to convert the full experience into a cooperative (and head-to-head) online environment. But did they succeed? One of the first things you’ll notice when you start playing is how gorgeous the game is, especially in space. The development crew did a fantastic job with the recreating a wide variety of astronomical phenomena, making the game a real eye pleaser. I constantly find myself taking screenshot after screenshot as I encounter amazing looking locations. For me, while fighting on away missions can be enjoyable, the dogfights in space are where the real fun is. By tailoring your and your bridge crew’s abilities, as well as modifying your starship with just the right armaments, you can create thousands of strategies for battle, customizing everything to your style of play. Specialize in engineering with a bridge crew trained for weapons modification and overpower the enemy, or become a science officer with a bridge crew trained for trapping and weakening your opponent, the sky (or space) is the limit. The list goes on for where Cryptic got it right, but at the heart of it, I feel like they really captured Gene Roddenberry’s universe. All the major locations that will be familiar to any fan are present (Earth Spacedock, DS9, Memory Alpha, all the home planets). Each mission has details and back history to go along with the tasks at hand – which is highly suggest reading. You can blow through character dialog and just play for the action, but getting fully into what’s going on really adds to the immersion factor. For me, STO took a while to get into. After I did, I was completed addicted, but for the first 5 hours or so, I was playing more because it was a Star Trek game and I really wanted to give it a fair chance. They scale back the difficult to start, so it almost feels like you can’t die, which also made me question how fun the game was going to be. Additionally, I wasn’t a fan of the away missions (and still have some reservations about the style of play, though I’m getting used to it). It’s a 3rd person view of your team, but actions are assigned as opposed to FPS style. You tell your character what action to take (shoot this enemy, create a shield generator, plant a bomb), but you don’t control how he shoots (e.g. a FPS). This makes ground combat also very strategy oriented as opposed to shoot-em-up. This still makes for an enjoyable and cerebral battle, but I almost feel like it would have been a better balance by keeping the strategy to space battles, and adding more fast-paced fun to away missions. Additionally, the AI for your bridge officers, while mostly good, can be atrocious sometimes, especially in the heat of battle when you don’t have a chance to manually configure their actions. The last major issue I see with the game is a lack of a community feel – it almost doesn’t feel like an MMORPG, more like a single player game where you occasionally team up with shipmates for space battles. I think this is due less to any shortcoming of design and more to the confines of doing a Star Trek MMO, in which there are thousands of planets separated by long space flights, as opposed to your typical MMO where you’ll constantly see everyone running around in a relatively small area with battles nearby and on the way to your destination. This almost isn’t that big of an issue with me, as I’m less of a social MMO player, which is why I never got too heavily into WoW – but I think for many people it will be an issue. There are few major issues with this game, but being hot off the grill, it does have its slew of bugs that are being handled as they come up. I’ve found my ship trapped inside objects on a few occasions, to the point where I can’t move. I’ve also had strange UI issues, not being able to cleanly exit an area, mission issues, etc. But like I said, the game is brand new, and like any MMO, will take a while to refine. In addition, as time goes on, Cryptic will add more and more content, which I’m looking forward to as well. So whether you’re a Star Trek fan like me, or looking for a new MMORPG experience (or both! 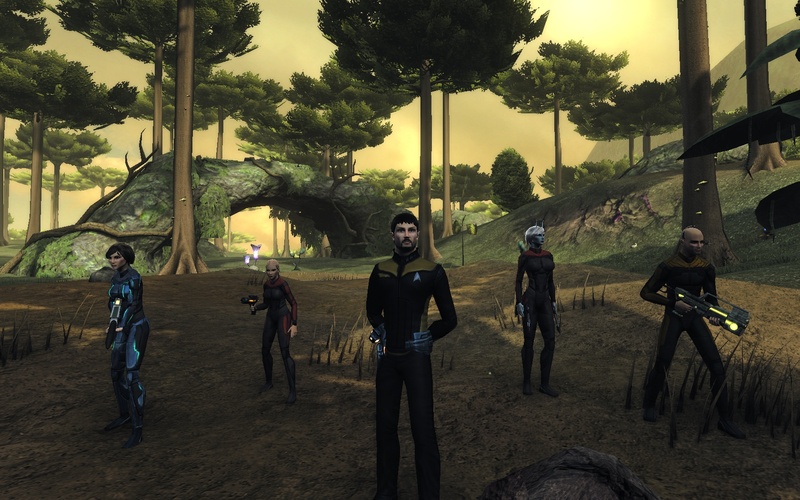 It’s not surprising many Star Trek fans are also video game players), give STO a try. 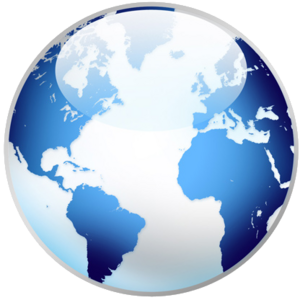 With multiple pricing plans (monthly, yearly, lifetime, etc), you can give it a whirl for a while, and then make a bigger commitment if you find yourself hooked. Check it out at the official website: www.startrekonline.com. 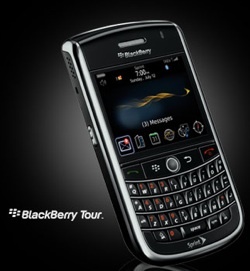 Blackberry Tour Owners – What Do You Think? I have quite a lot of RIM and Blackberry topics swirling around in my head – but those can wait for another day and blog post. I got my Tour a few days ago, and I have to say: I absolutely LOVE it. And though I’ll be the first to admit, I’m a die-hard Crackberry fan, through and through, the device does have some issues (AHEM WI-FI – also, the back is kind of hard to open, I think). However, I really think it’s some much needed love for the CDMA networks, and combines together some great aspects of the Storm, the 8900, and the Bold. It’s definitely an improvement over my 8830, which had seen much better days. It’s nice to have a camera finally, and the speed if phenomenal. I couldn’t have more than a handful of MP3s on my 8830 because the media player was just too slow to categorize. I bought a 16gig micro SD card and loaded that bad-boy up with about 1000 MP3s, and the 9630 didn’t even blink. So sweet. Any other Tour owners out there, or people hoping to buy the Tour soon? What do you think? Likes, dislikes? What do you think of the keyboard and more recessed trackball? A lengthy title, but one of the most memorable lines from one of the greatest computer games ever created. I speak, of course, of “The Secret of Monkey Island”, a point-and-click adventure released by LucasArts (then Lucasfilm Games) in 1990. 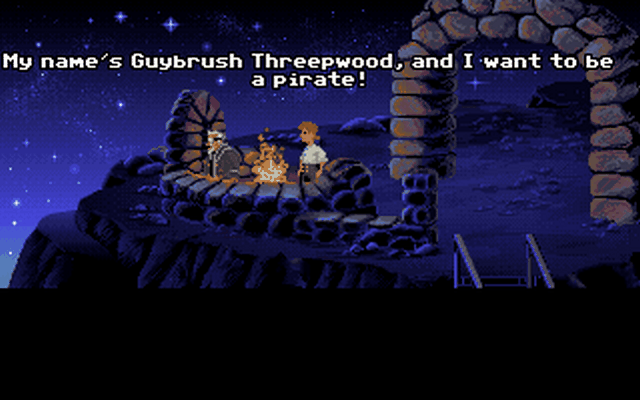 For the uninitiated, The Secret of Monkey Island and its 3 subsequent sequels chronicle the adventures of Guybrush Threepwood, a slightly bumbling but well-intentioned swashbuckling neophyte in his quest to become a pirate. Along the way he fights the undead pirate LeChuck and marries the beautiful Elaine Marley, governor of Melee Island. If you haven’t played these games, do yourself a major favor and purchase them right away – they are some of the most enjoyable and funny games ever made, thanks for the genius of the game’s original creator, Ron Gilbert. Until recently, the last game to come out of the Monkey Island franchise, slightly before LucasArts had decided that adventure games were no longer profitable, was “Escape From Monkey Island” in 2000. Nearly a decade later, many fans had lost hope of there ever being a continuation in the series. There were a few home brew attempts at games, and lots of artwork, fiction, and messages back and forth, but never an official title… Until now. Telltale Games (My favvvorrite developer), in cooperation with LucasArts, has released the first in a series of 5 episodic games, continuing the Monkey Island saga. I recently completed the first chapter, “Launch of the Screaming Narwhal”, and as a long-time, die-hard fan who has been with the series since the beginning, I can honestly say that this is a gaming dream come true. Telltale continues to take classic IP and do the job right. We see the full cast of characters return for the new game, with much of the original voice cast, including Dominic Armato as Guybrush Threepwood. The locations and storylines are right on, with LeChuck again causing mayhem upon the seas deep in the Caribbean. Telltale makes use of their “Telltale Tool” and game engine, and I have to say, it looks fantastic. One of the issues I had had with the fourth in the Monkey Island series was a jump to 3D graphics when 3D wasn’t visually there yet. When comparing the beautiful cartoon illustrations of the third game to the blocky, polygons of the fourth, it just seemed ugly. But no longer is this the case – Telltale did another bang-up job and beautifully rendering both the environment and characters. The true test of any adventure game is the puzzles, and in Monkey Island’s case, the laugh factor. Launch of the Screaming Narwhal does a great job at both, though the puzzles are probably easier than the those found in the rest of the series, due to the length of episodic games. I only found myself majorly stuck once, and after taking a night’s break and coming back, I figured it out fairly quickly. I did find myself smiling and laughing quite a bit though, and definitely felt like I was experiencing a true MI game. The jokes were very “Guybrush”, true to his nature. One thing a lot of people had moaned and groaned about on the forums was the control scheme. 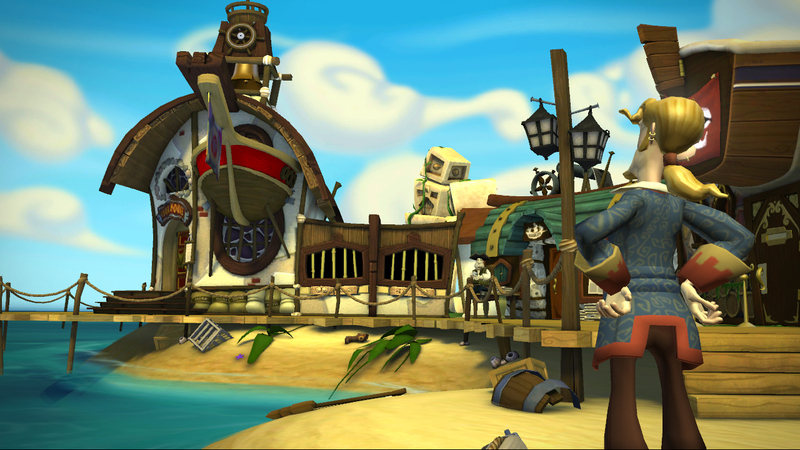 Telltale has chosen to control Guybrush using the Wallace and Gromit scheme, which means use of the keyboard as opposed to clicking for his destination. Many have gone so far as to declare such a control scheme would ruin the game. While everyone is entitled to their opinion, I found this kind of silly, especially since using the keyboard is not that bad, and probably works better considering all the camera movement there is in the game (well done movement). I did notice Telltale added in a secondary control scheme using the mouse to point in the direction you want your character to go, but honestly I preferred the keyboard. Really, I had no qualms with the game at all, except the ongoing issue of voice volume – for whatever reason, Telltale continually sets their music much too high to make out what is being said during scenes with a musical score. But after a quick re-adjustment to the music volume, all is good again. Like all TTG productions, I highly suggest you check it out (on PC or Wii), even if you’re new to the series. Need more convincing? Check out the trailer! I like this because it’s very true. I often feel that the term “Computer Science” is a very poor term for the field of study, since it’s more the study of mathematics, algorithms, logic, symbols, information processing, etc. If anything, I think the average person probably thinks Computer Science means the study of troubleshooting and fixing computers. Which isn’t necessarily a huge deal, people can think what they want, but a more accurate title for the field might be in order. Before going any further, I’ll preface this by saying I am a insanely huge Ghostbusters fan. It’s been my favorite movie since I first saw it when I was little, and all subsequent 5 billion viewings. I’m surprised my C64 Ghostbusters disk still works from the number of times I played the game, and I have a large portion of the action figures – moreso than anyone should have. I even dressed up as Egon for Halloween when I was 10, and had a Staypuft plush toy. Without mentioning how I own the entire series of The Real Ghostbusters on DVD (oops), I think it’s safe to say I’m a fanatic. That being said, I’m going to try my best to give a non-biased review of the game. And there were some issues I noticed along the way, so I feel that I’m doing a just critique. 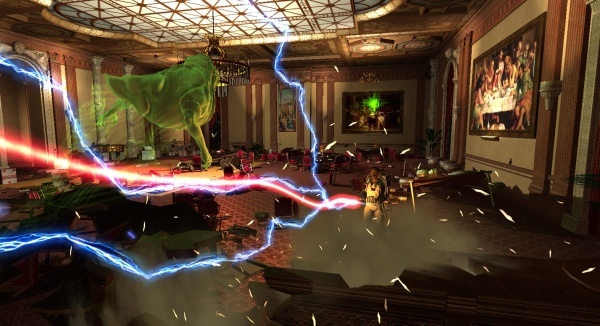 Ghostbusters: The Video Game was developed by Terminal Reality and Threewave Software (for PC/XBox/PS3 versions), and published by Atari and Sony. Its publishing history is a bit bizarre and probably warrants its own post – suffice it to say, it changed hands through mergers until it ended up with Activision, who made the choice not to publish it (Please note, I’ll keep this post professional and make no mention of Activision’s market research team apparently inhaling a large number of drugs that day, or the fact that Activision in general is slightly higher than amoebic dysentery on my list of favorite things). Atari grabbed it up. It was/will be released for PC, PS3, XBox 360, Wii, PS2, and PSP. I purchased and played the PC version via Steam. First off, the best part is: it’s GHOSTBUSTERS. Seriously, that just scores a lot of points right there. But without going too fanboy – it features all the original voice cast (Bill Murray, Dan Aykroyd, Harold Ramis, Ernie Hudson, Annie Pots, William Atherton), and features other well known actors (Brian Doyle-Murray, Alyssa Milano). The script was written in part by Aykroyd and Ramis (the former who stated “this is essentially the third movie.” [game informer]). The story is fun and interesting and visits a lot of locations, characters, and mythologies from the original two films. Some of it is a bit contrived, but overall it flows pretty well. The music is mostly all from the original movie, which is great – I enjoyed it quite a bit. Some people have said it gets repetitive, but I’ve heard that music so much in my life regardless that it doesn’t wear on me. Most importantly, the game play is A LOT of fun. A serious amount – the physics engine developed for the game, the “Infernal Engine”, is the absolute BEST I have ever seen in any game. Virtually any item can be broken/burned/moved/etc, and movement is incredibly realistic. They did a really nice job with it – I hope it gets used in more games to come. It must also be fairly efficient, as it didn’t tax my processors as much as Left 4 Dead or other recent games do. Big score on that. And the mechanics of actually catching and trapping the ghosts is just a crapload of fun – from the little guys to (semi spoiler) the Staypuft Marshmallow man. It made me feel like I was actually a Real Ghostbuster (LOLZ). Okay – the big one that has set the forums aflame: There is no multiplayer in the PC version. This was a big shock to everyone, as it was pretty much advertised during the pre-order weeks as having multiplayer. A lot of people, including myself, were pretty ticked off about it, and Atari has done virtually no damage control. Hopefully there will be a patch – this would be a great game for LAN parties. A lot of people have reported some major issues with saving/restoring games (I experienced a bit of this), slowdowns/lockups, and issues installing it. Also, for those purchasing the PS3 version, they’ll notice it looks quite a bit fuzzier and lower-res than its PC or XBox counterpart. Lastly, and this one especially bugged me, the code used to process mouse acceleration is the same as what’s used to process joystick acceleration. Because of this, moving the mouse slowly doesn’t fine-control your character, it simply doesn’t have any effect at all. You need to budge the mouse quite a bit to get your character to move normally, which is not great for an action game. I appreciate the extra time being taken to bump up the gameplay and creepiness, they did an AWESOME job, but there have been enough reports of issues to know that QA was not quite where it should have been on this one. Really, the lack of PC multiplayer was the only thing that was a major bummer. Overall, I really enjoyed this game – and I want to keep enjoying it, which is why I hope they patch it for multiplayer – the physics and gameplay are awesome, and would be fun for a LAN party or online play. 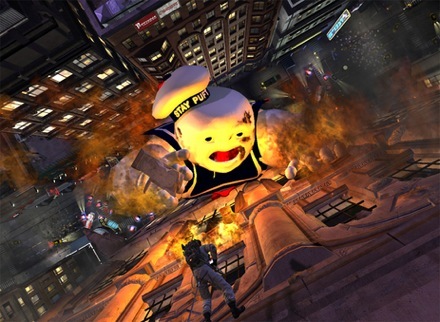 If you are a Ghostbusters fan, or just want to try a new game, I highly suggest this one – it’s great to see new light brought to old characters with a continued storyline, and the gameplay is just a blast. Overall, if you’re shooting for the best balance of multiplayer and good graphics, pick up the XBox version. If you’re shooting for the best possible graphics and have a bumpin’ gaming rig, pick up the PC version and jack up the settings – and hope they’ll release a patch one day. But regardless of what system you go for, GET THIS GAME NOW! And an important safety tip while playing: Don’t cross the streams – it would be bad. One of the interests my girlfriend and I share is our love of gaming, specifically retro gaming. She did a lot of Genesis gaming when she was a kid, while I was exposed mainly to C64 and Nintendo gaming, so we have a fun time sharing our favorites with the other and playing through them together. It’s a pretty relaxing and fun way to spend a rainy Saturday. Recently, we decided to tackle Sega’s Quackshot. 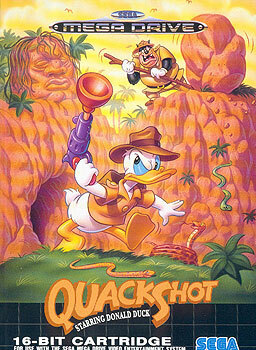 Quackshot was released in 1991 for the MegaDrive/Genesis. It’s a single player game featuring Donald Duck and many of Disney’s Ducktales characters in a platform style adventure. The game was also released in 1998 for the Sega Saturn. We played the Genesis version on the Fusion Genesis emulator. The story of Quackshot features Donald finding a treasure map in one of Scrooge McDuck’s old books, and deciding to set out to find said treasure. Big Bad Pete overhears this and decides to try to stop/steal the treasure from Donald. Donald flies from location to location with the help of Huey, Duey, and Louie who pilot the airplane (why not Launchpad I wonder?). The game is definitely reminiscent of Indiana Jones, and features many of the same scenes (Running from boulder ala Raiders, making a leap of faith across a chasm ala Last Crusade, mine carts ala Temple, etc). 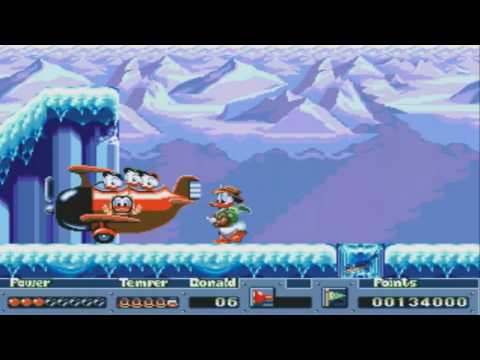 Donald makes use of a plunger he fires from a gun as a weapon, which later can be upgraded to provide different abilities, such as sticking to walls. He also has a popcorn gun which can destroy enemies, and a bubble gum gun that can destroy blocks (makes sense!). I’m a fan of side-scrolling platformers in general – especially old school 2D ones, just because they’re simple but can be challenging, especially when crazy pit jumping or enemy dodging is involved. I enjoyed this one as well – the difficulty level wasn’t bad (though we were using a game genie code), we cleared it under an hour or two (can’t remember exactly), but it wasn’t an overly long time. I both like Ducktales characters and Indiana Jones as well, so this game made the perfect combination. There wasn’t a lot going on in this game – which is not a bad thing. There was a little puzzle solving, but one part I found especially annoying was the Maharajah’s Palace stage, in which you’re trapped in a maze of rooms connected by mirrors. You need to choose the right combination of mirrors to advance to the boss or else you’ll just keep retracing your steps over and over. Maybe the correct sequence was mentioned somewhere in the game, but we missed it – we had to look it up. The last boss wasn’t bad – if you know his strategy he’s extremely easy to beat, especially as there’s a location on the screen you can’t be hit if you know the pattern. This is either good or bad depending on if you like a big challenge for the last guy. I thought he was pretty cool though, a knight just like at the end of Last Crusade. I recommend this game if you’re looking for a fun little platformer to play and enjoy Disney characters. There’s nothing revolutionary going on in this game, but it’s colorful and fun, and the music is not bad – it’s enjoyable. And if Donald eats a bunch of Chili peppers he goes nuts and runs across the screen, invincible to enemies, that part is a HOOT. And there were a few other Disney games released by Sega at this time (reviews on those later!) so you can keep filling that cartoon video game hunger when you’re done with this one. Hurray! I’m Back! PSX64 Sold Out (more soon)! New Job! Lots of exclamation marks up there! 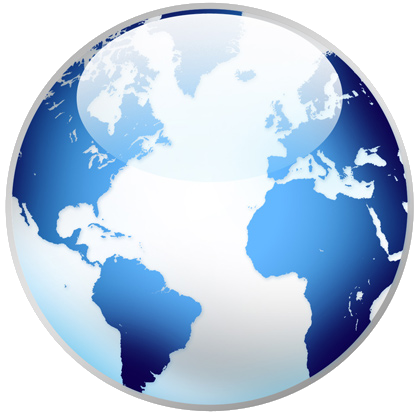 I will be starting as network administrator for Manchester Boston Regional Airport next week. I’m sad to be leaving friends at work, but I’m extremely psyched for the job. I’m a programmer and CS guy to the core, but there is a huge piece of me that misses network administration and working with a team managing infrastructure, and an airport seems like such an awesome environment to do it in. Plus, programming all day, sometimes you can get a little burnt out by the end of the day and not want to look at code at all. This has been a bummer in the past, because there are a lot of times when I want to work on private projects or blog related stuff, but have just been too pooped. Hopefully this will help that a bit. Trying to find the perfect balance. Lastly – I had opened up the Synthetic Dreams store to sell a small batch of PSX64s left over from conventions, and they sold out before I got a chance to advertise them. I will be putting in an order with the fab house on Wednesday, and soldering them up as soon as I get them. Look for the store to reopen with stock in the next 4 weeks. I apologize for the long wait, unfortunately it’s tough to turn out the boards as fast as I’d like to with full-time work and the time it takes to make the boards. But they are indeed coming!